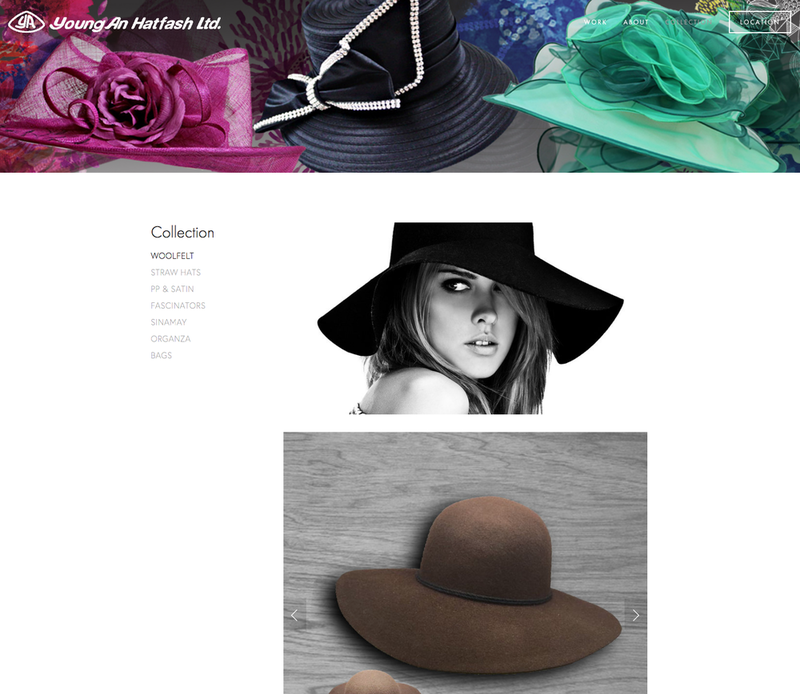 Hatfash, is a hat trading company in Hong Kong, The company's main focus is creating liason between American and European Wholesalers with manufacturing hats in China. Owner Maria Reich Needed to upgrade their old brand look to fit her new business model and location by the beach. Her problem was that she could not change the current logo so we added a secondary illustrative graphic element to help narrate and navigate the brand through out her site. Paul Mogg is another client abroad. He is an Art Director, and produces documentaries and commercials overseas for giants like BMW amongst many. He wanted a portfolio website, that centered around his blog, to keep clients and audiences updated on frequent bases. This is has been ongoing personal project for a client Jo Fok, from Hong Kong. Her company, Marshmallow, came to us with a vision to create a site that fosters her portfolio and collaborative portfolios of others in similar fields. The work is comprised of local and global clients, from TV commercials to documentaries. Marshmallow's intention is to work collaboratively designers, and independent film makers globally from the city of HK. Master Naval Diver that needed a site to show government contractors the work he can provide with his equipment and over 30 years of DIving Experience. This was a recent wrap up for Peggy Cross that does Interior Design + Feng Shui. Originally Based out of Florida, she now resides in Hampton Roads, VA. Continuing to teach The Art of Living w/Feng Shui at Tidewater Community College. Speaks and Attends ARI, and just finished up a couple of interior design and feng-shui needs for local offices, establishments, and businesses. She is now simply happy that she can update her site with ease. The colors, graphics, and choice of fonts for her brand was in respect to the colors of her office and the way it harmonizes with her work and practice. 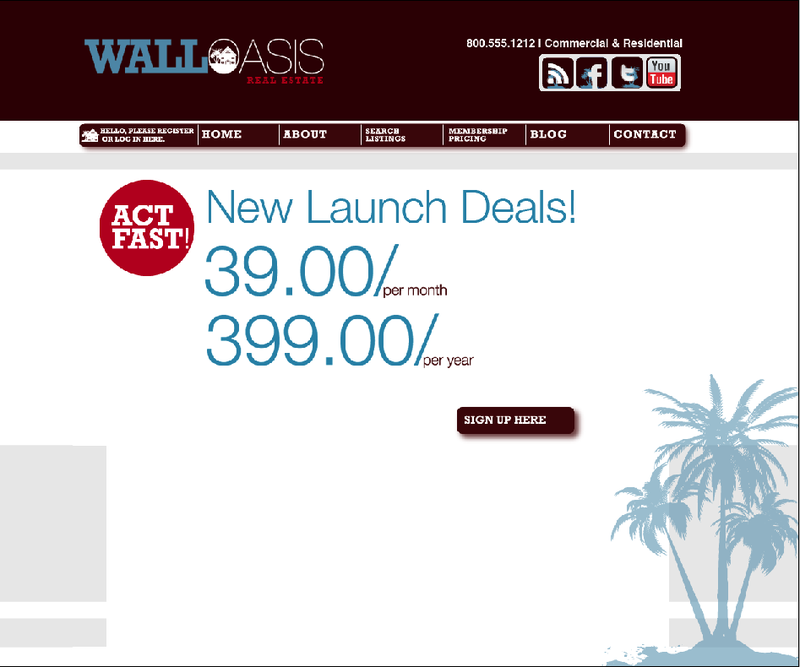 Site is live at http://www.walloasis.com, along with a facebook page presence, consistent twitter page design, and a fully functional site allowing residential and commercial buyers and sellers to list. 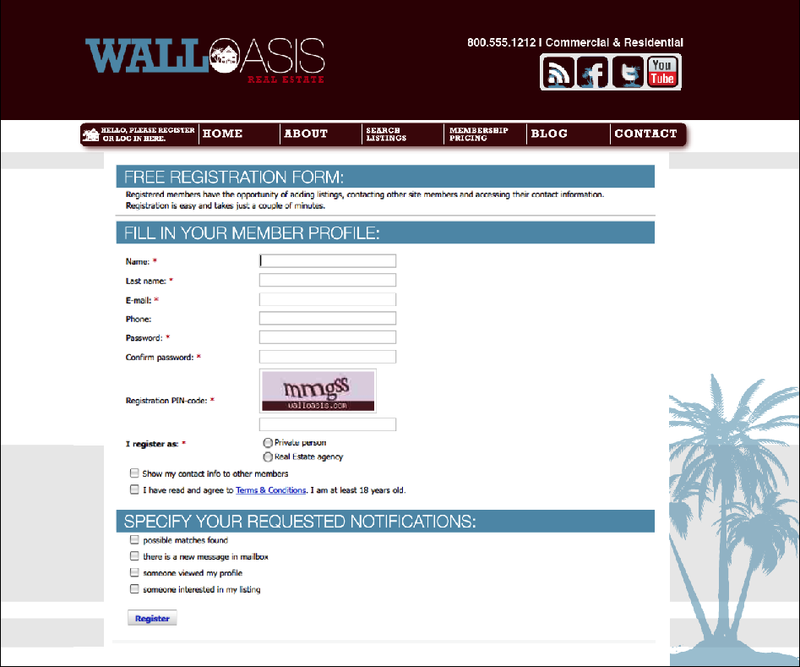 The new user interface centers around simplicity when registering and becoming a member. Newsletter launch to follow, and butterpop studio will be adding some fun illustration additions in the newsletter..
Derek Eley, Local Photographer that needed a new site. New Business needed a simple quick Facebook Access Page. Is my old blog site on blogspot, just a personal blog space about local and nyc foodie eats and where to abouts when traveling. Mark is a master jeweler and needed a site to brand his work. We worked hard in trying to bridge traditional and modern feel for his site and to appeal to a wide audience of ages, non-profits, and retailers nation wide. 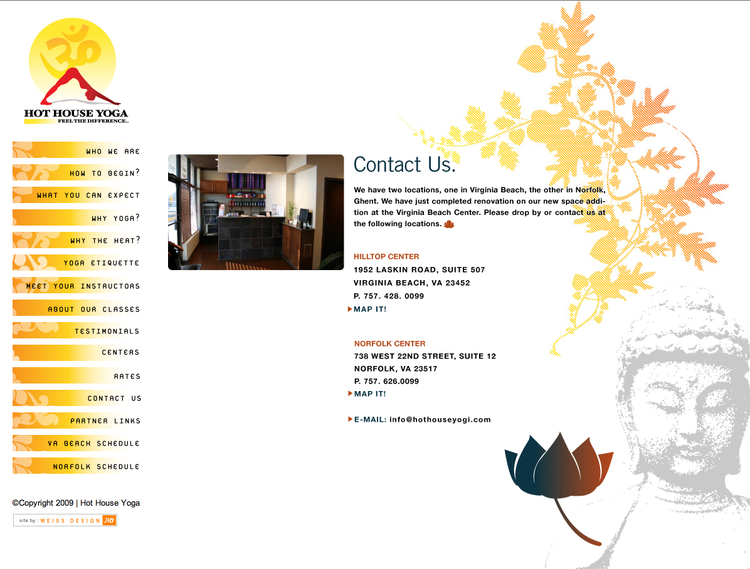 Hot House Yax Family needed a complete rehaul of all their back end domain needs as well as, new studio openings in different location. 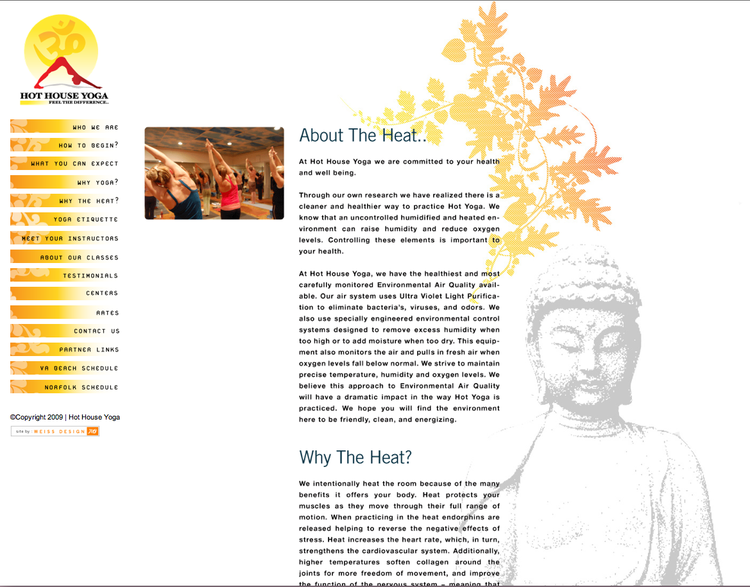 The new site brought insight, clarity and vision for their clients and education on hot yoga and practice.